Hillary is often working on projects that blend her vocation and training. Her current major project, born of an intense meditation session, is called “The Hive.” Based on model of community and growth of the hive of the honey bee (an ancient metaphor for the church) wellness and spirituality website will support progressive Christian women grown in their faith and change the world. The Hive will have many categories for topics of all kinds and can be found at www.thehiveapiary.com. As a long-time yoga practitioner and 500-hour certified yoga instructor, Hillary also teaches yoga and meditation several times a week in a class that is free and open to the whole community. She practices and teaches primarily in the Ashtanga system of yoga which blends energetic postures with deep intentionality to help aid in prayer and holy living. 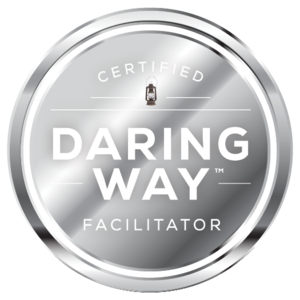 Hillary is also a Certified Daring Way Facilitator (CDWF), having trained with Brené Brown and her team in February 2015. She incorporates researcher Brené Brown's work on vulnerability and wholeheartedness into preaching, teaching, and pastoral counseling, and lead series based on the Daring Way. This work parallels Christians' call to practice radical discipleship and love God, neighbor, and self.